Myself and Spring at Pebbleshoo have been living on the wild, west coast of British Columbia for over 4 years now. We quickly were inspired to start trying to reach the summits of the mountains we could see all around us. 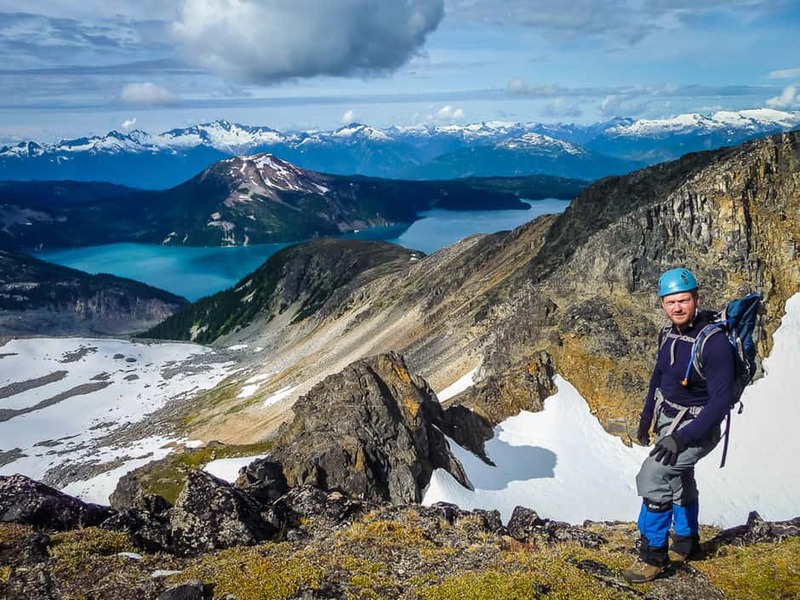 A lot of them we could hike to the top of, others require the use of a rope and we have yet to visit them, but some, our favorite mountains, are defined as scrambles. Before moving to British Columbia from the Country of Ireland “scrambling” was something we did to eggs on a Saturday morning. But now it better describes a method of climbing a mountain that is fun, challenging and adventurous. Scrambling is moving over rocky, somewhat steep terrain where you use both your hands and feet to move upwards. It’s usually not too steep. It’s fun because you feel like your entire body is engaged but the risk of falling, which is common with roped, vertical climbing, is not usually present or severe. We’ve done a lot of scrambles and have picked out 5 which are among our favourites. There are more mountains than days in our life here so this is by no means a conclusive list. If you have some scrambles we simply must try then let us know in the comments below. We’d all love to hear about them. 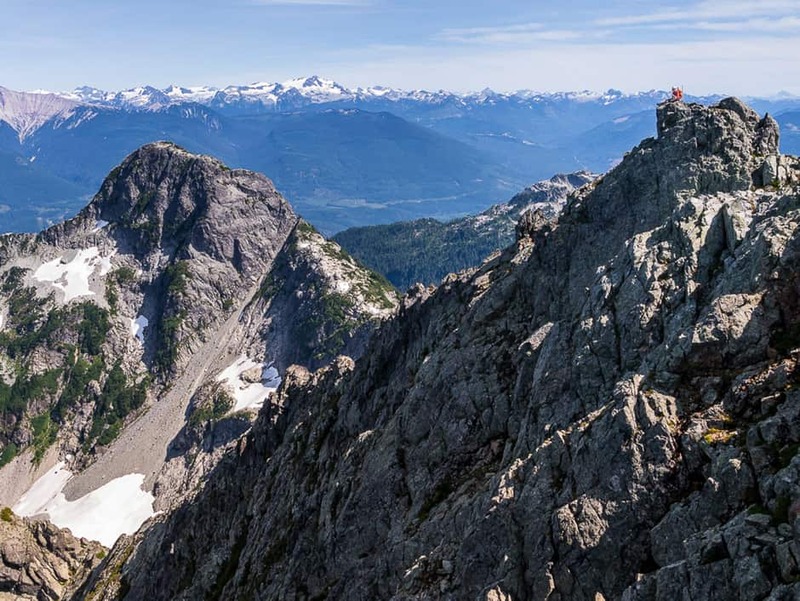 With easy access granted by the Sea to Sky Gondola in Squamish this is sure to quickly become a classic. When we did it, it was still considered remote. The scrambling is airy in places but the rock is generally solid. 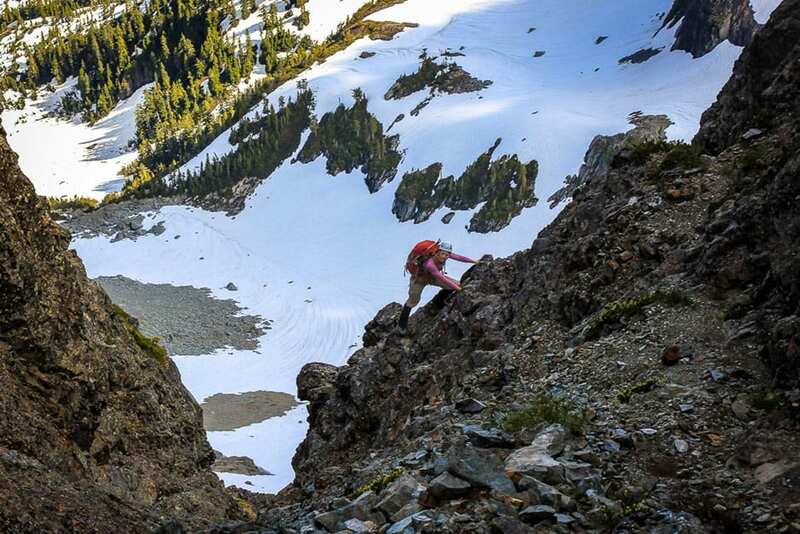 A steep, infamous pink slab is the crux of the route. Some will call it easy while others will say it is crazy difficult. It all comes down to how comfortable you are on slab and trusting the stickiness of your boot rubber. Either way, it’s fun. Highly recommended. 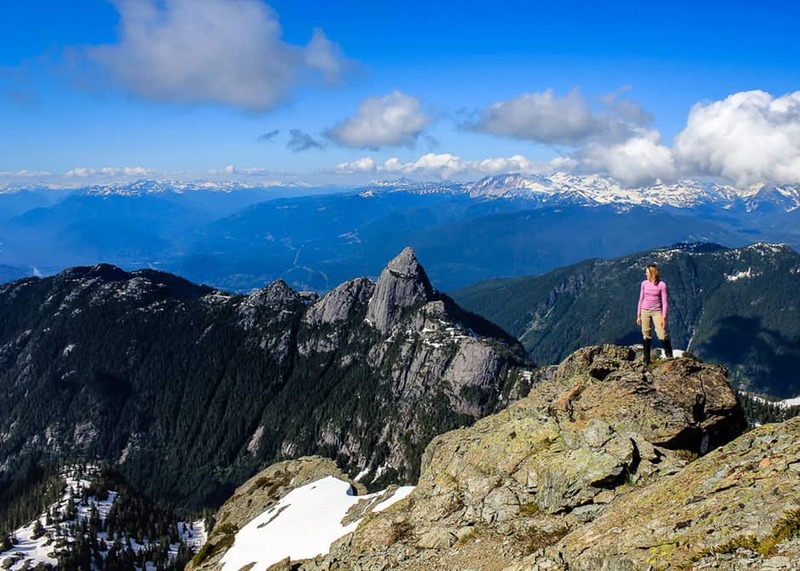 This mountain lies at the northern end of the Tantalus Range near Squamish, BC. The approach is long and most parties will break it up over 2 days, but if you don’t mind being on the move for over 12+ hours it can be done as a day trip (fit parties have done it much quicker). You start from close to sea level so you climb up every meter to this summit. 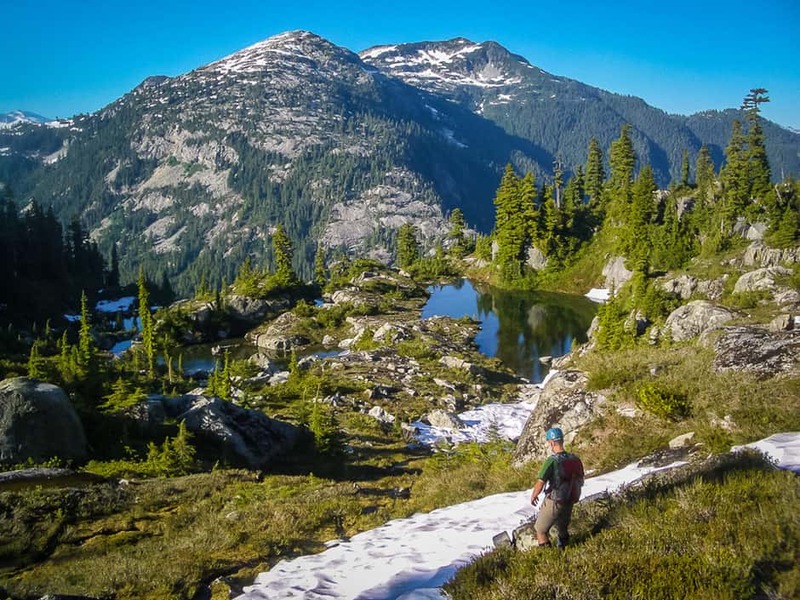 It takes you through BC’s Coastal Rainforest, into the subalpine, through the Alpine and into moonscape of glaciated moraines and valleys. The views are amazing and the scrambling, though short lived, is on high quality, solid rock. From the popular main campground at Garibaldi Lake in Garibaldi Provincial Park you can look out and see Castle Towers. This is another mountain that is usually climbed over two days but quite a few parties now do it as a long day trip. The route has numerous ups and down making it challenging. Once on the mountain itself though the scrambling is sustained over large, solid boulders. The views from the summit are breathtaking. We’ve only climbed Cypress Peak once but it is always our backup “Plan B” scramble as it is relatively short. You can drive up quite high on logging roads to access the start of the route up this mountain. The hike itself could likely be done as a round trip in a few hours. The scrambling is fun and the exposure feels minimal. 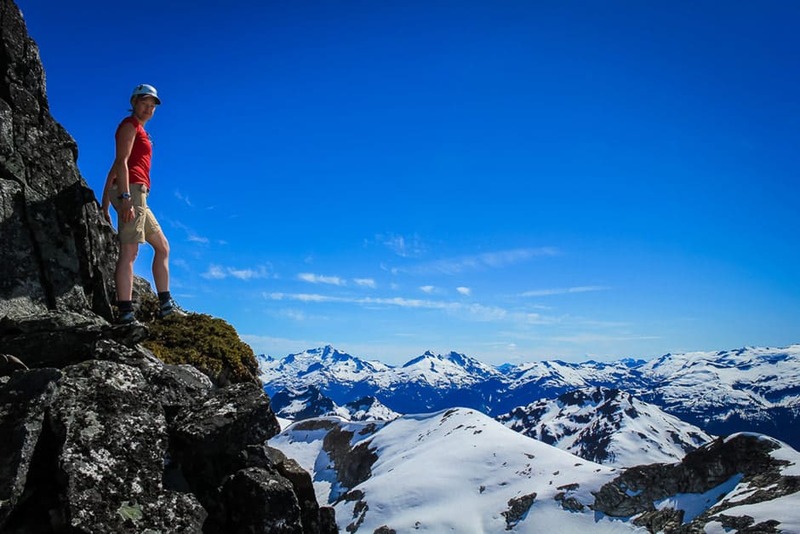 From the summit there is amazing views eastward out over Garibaldi Provincial Park and beyond. 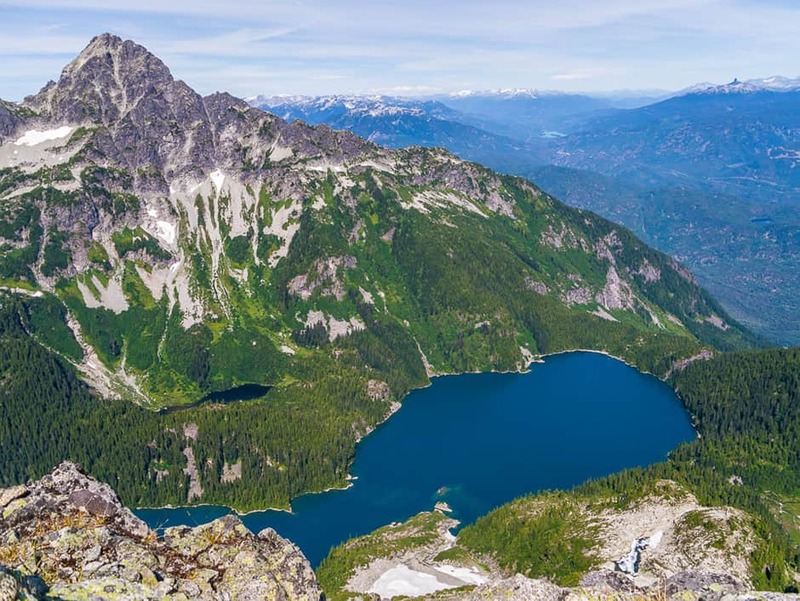 This mountain overlooks the amazing Lake Lovely Water in the Tantalus Range. Reaching the start of this scramble will likely be the most difficult part of a scramblers trip. 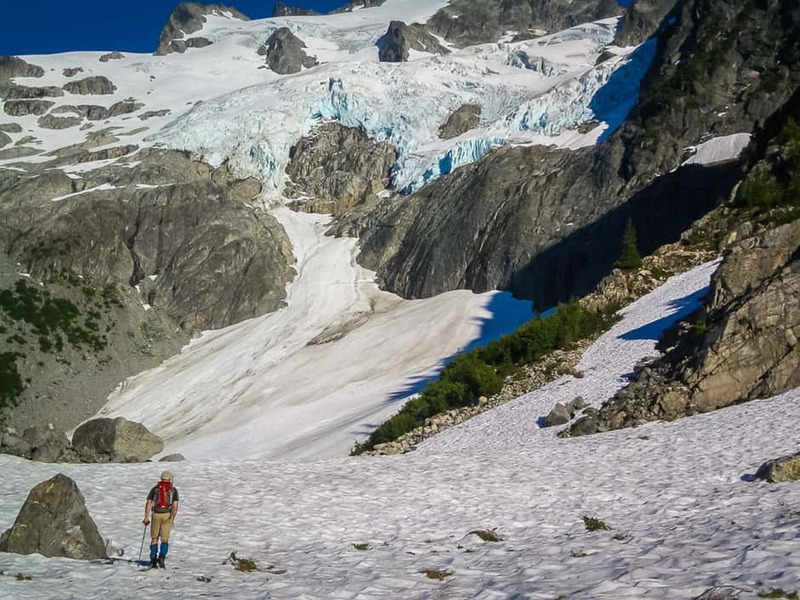 The Tantalus Range is notoriously difficult to get into even though it sits directly opposite the town of Squamish. A lot of parties will fly in via Helicopter. To reach Mount Niobe you climb up from Lake Lovely Water, over two other mountains, Iota and Pelops before scrambling to its summit. 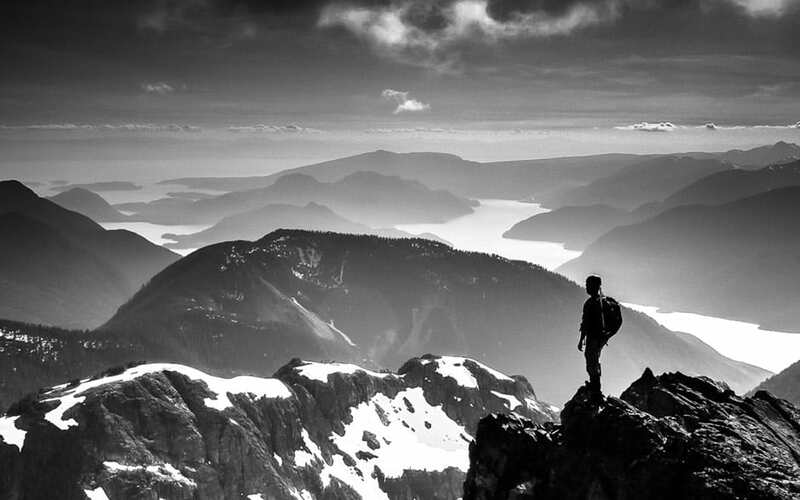 The views out over the Tantalus Range make all this effort worthwhile. Including detailed route information would have made this post exhaustively long. 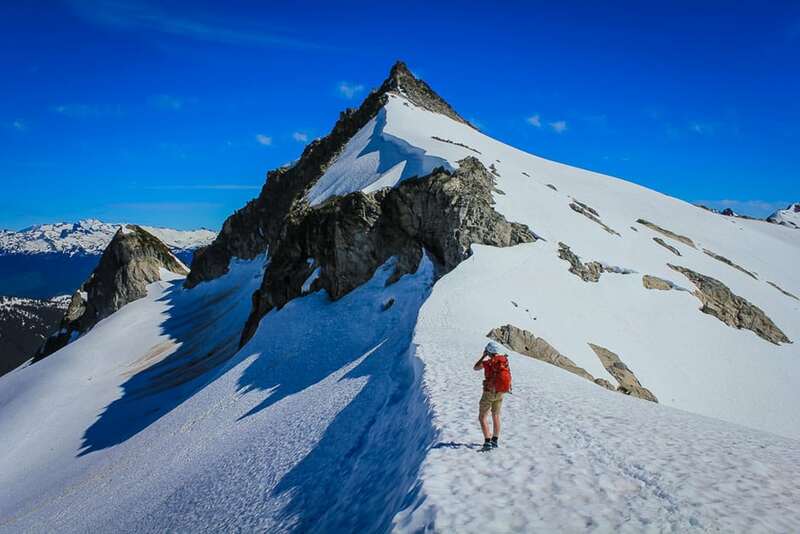 We hope that the names of these mountains alone and our recommendation will get you stoked to research them, get the guidebooks that detail routes and distances, and visit them yourself. 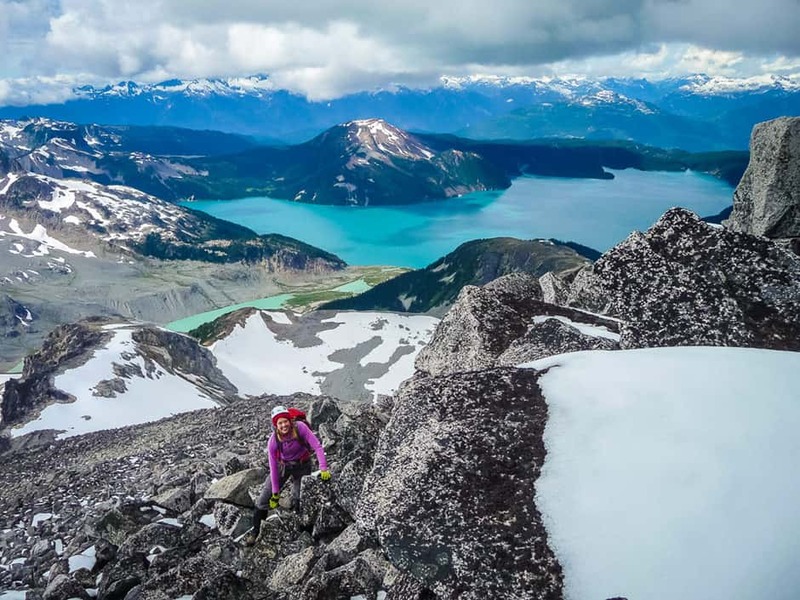 There is 2 thoughts on this article titled “Top 5 Mountain Scrambles in Southwest, BC”. Just added a few to the list for my summer, know where I could pick up a copy of Scrambling in Southwest BC? Previous Previous post: Burton Beeracuda: It’ll cure what ‘ales’ ya.